Serving as a restorative to damaged and irritated nerves the herbs in this compound have a mild sedative action that soothes nervous agitation and excitability. 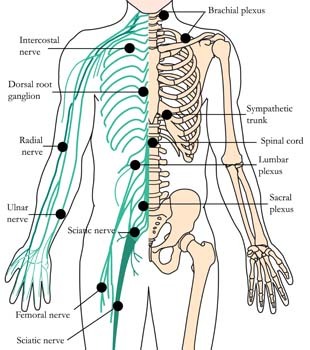 Specifically indicated for treatment of low or exhausted nerve force commonly referred to as nervous exhaustion. This condition may be a result of prolonged illness or severe stress. As a restorative this compound repairs the vital life force after injury, trauma or shock. It is helpful in treating various nerve disorders such as jittery nerves, restlessness, depression, panic attacks or mental exhaustion. Beneficial when withdrawing from various drug addictions including coffee and tobacco. Indicated in the treatment of Parkinson’s disease, epilepsy, and MS as a nerve restorative. OS-26 comes in 1 oz. (30ml). Using 30 drops per day this bottle will last about 1 month. Take 10 to 20 drops in water, three to five times per day between meals, with the last dose of the day taken just before bed. For the most beneficial results tonic should be taken for one to six months, depending upon the individual need. Some of the above conditions can be quite serious. See a qualified healthcare provider or medical doctor for treatment and advice. Do not take this compound during pregnancy except under the advice of your medical doctor or healthcare practitioner. 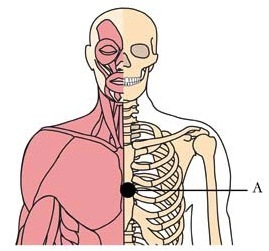 Location: Cell Point A is located on the center of the breastbone, three finger widths up from the base of the bone. Benefits: Relieves nervousness, anxiety, chest tension, anguish, depression, hysteria and other emotional imbalances. Location: Cell Point B is located on the inside of the arm, at the lower end of the elbow crease when the arm is bent. Benefits: Relieves nervous stomach, nausea, anxiety, arm pain, chest discomfort and palpitations. Location: Cell Point C is located on the inner side of the forearm, two and one-half finger widths from the crease. Benefits: Relieves anxiety, palpitations and emotional imbalances. 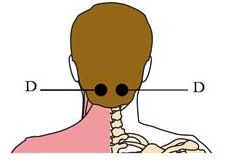 Location: Cell Point D is located one inch below the base of the skull, on each side of the spine. Application: Liberally apply Panther Juice to the area and allow to dry completely. Adhere Micro-Disks with Cell-Dotts. Duration: Start Cell Point application when you begin using OS-26. Continue wearing the Micro-Disks for two to three days after symptoms have cleared. Reapply at the first sign of imbalance.